Behind The Thrills | Rumor Mill-Trick r Treat 2 is happening! 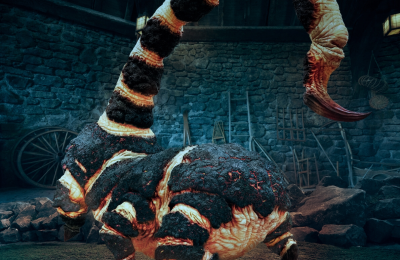 Could we see the characters at HHN Orlando? Rumor Mill-Trick r Treat 2 is happening! Could we see the characters at HHN Orlando? 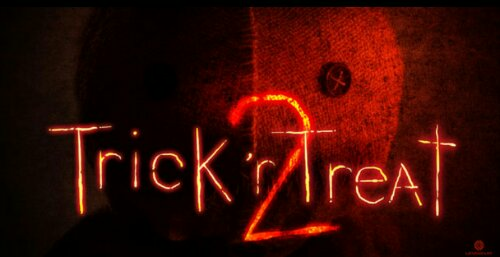 Rumor Mill-Trick r Treat 2 is happening! Could we see the characters at HHN Orlando? Halloween and horror movies go hand in hand. Horror movies are arguably the reason that Halloween has seen such a huge raise in popularity in the past 30 years. Horror films about Halloween seem like such a natural fit, that its a huge surprise there aren’t more of them. One of the rare gems that merge Halloween, horror and even some ancient elements is Trick r Treat. The Halloween anthology horror film is getting a sequel. We think that Trick r Treat could be a pefect fit for another Halloween tradition. Warning-this is only speculation and not happening yet. Spoilers ahead. The original Trick r Treat is an Anthology horror film, taking many different stories and weaving them together. It features a little costumed character, Sam. 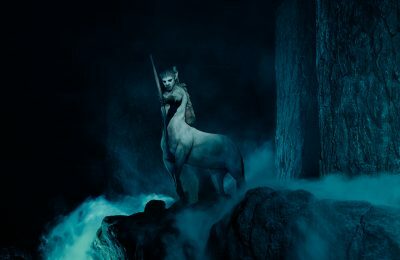 The film was originally slated for a 2007 release in theaters, but was moved and pushed around so much that it was eventually relegated to a direct to dvd release. The film was such a great homage to Halloween myths, stories and tales that it naturally found a huge following. The film is a must watch for any fan of the Halloween season. The stories of the film stand apart from each other, at first, but each share one binding factor. Sam is a child like character who shows up at just the right moments. He is clad in a homeade scarecrow type costume, and he is carrying a bag and a pumpkin lollipop. He is the spirit of Halloween, Sammhein, incarnate. As many of the characters find out, you don’t mess with tradition. The film even inspired large portions of 2008’s Halloween Horror Nights in Orlando, particularly The Skoolhouse scare zone and The Hollow haunted house. While they weren’t taken directly from the film, a lot of ideas and the spirit of the film could be felt. Now the makers of Trick r Treat have announced a sequel to what has become a modern cult classic. What’s more, the director has promised that the film will dive deeper into the mystery of Sam..who and what he is. To make sure it gets a run in theaters this time, the film is being produced by Legendary Pictures. 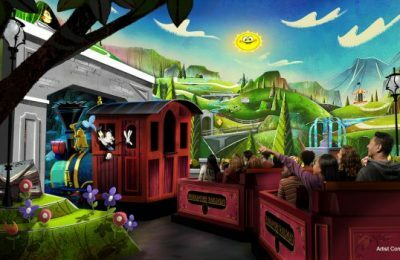 Earlier this year, Legendary and Universal Studios announced a partnership that will bring not only high profile films to the big screen, but also take them off the screen and into the theme parks. Rumors are already swirling about films such Godzilla. This next bit isn’t about rumors as much as it is wishful thinking. With Universal Orlando’s huge tradition of Halloween Horror Nights, and the new found love of taking intellectual properties and making them haunted attractions, Trick r Treat appears to be a series ripe for adaptation. The entire original film is steeped in Halloween tradition, from getting candy, to scary local stories and even monsters.The event is very good at adapting into many different things, but one thing that it never really has been is a pure celebration of Halloween. Sure, some of the themes are there, but why put one or two themes mixed with other things? Why not have the whole event themes to Halloween traditions, stories and horror? For those who love icons, little mischievous Sam would make for an amazing master of ceremonies! This one is still a few years off, so until then, keep your jack o lanterns lit, lest the dead come knocking. Stay tuned for more HHN updates year round! Follow us on Twitter @BehindThrills for the latest info! For more information about Halloween Horror Nights at Universal Orlando, visit t he official website by clicking here!